Maruthur Center Masjid or Pattambi Mosque is one of the pilgrim centres in Malabar noted for its annual feast festival. A festival that paints an entire town in the multiple hues and shades of joy is a spectacle by any standards. 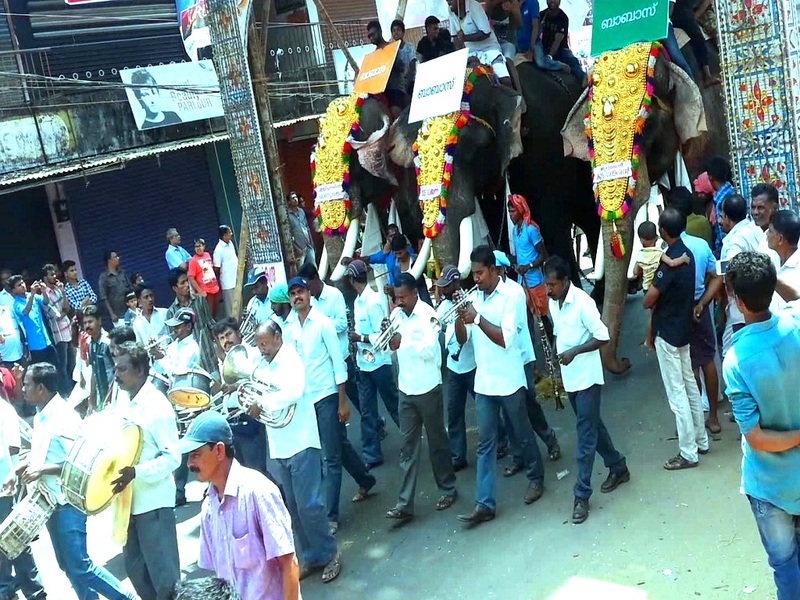 Hosted in remembrance of the Muslim saint - Aloor Valiya Pookunjikoya Thangal from the Malabar region, the highlight of the festival is the grandeur of its procession. 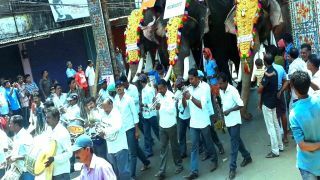 The festival is marked by several caparisoned elephants, the accompaniment of colourful tableaus and traditional orchestra like the Panchavadyam. Various folk art forms like Duffumuttu, kolkali and many more add a vibrant mood to the stunning procession, which usually concludes late in the evening on the banks of the River Bharathapuzha.